As a physician, you belong to a well-respected, very important profession, one which allows you to be of service while performing work that is professionally challenging and personally fulfilling. And you may be happy right where you are. On the other hand, you may long for a different scenario. Perhaps you no longer want to be part of a private practice or corporate practice and would like to work in different setting instead. If this sounds like you, the following discussion on how to make a successful physician career change to a community hospital may be of benefit to you. First, let’s briefly examine what working in a community hospital entails. Simply put, a community hospital environment offers many benefits not readily available in other health care settings, primary among them being the sense of “community” itself. A physician career change to such a setting permits you an environment to provide health care built on relationships with coworkers and residents of the community in which you live, people who, like you, are seeking similar things in location, lifestyle and values. 1. Is this really what you want? Although this may seem obvious, that isn’t always the case. The most important question you need to ask yourself is simply this: Why do I want to leave my current situation? Are you unhappy with your job (pay, hours, working conditions)? Tired of the office/care facility in which you work? Does your displeasure stem from your coworkers? More to the point, are you truly unhappy or simply feeling some restlessness? If the former, is your dissatisfaction mild, moderate or extreme? Understanding your motivation for looking into a physician career change is essential. Failing to carefully examine your reason(s) may set you up for significant disappointment if you subsequently discover that you weren’t really dissatisfied or the grass wasn’t greener on the other side after all. 2. Is your family on board? Changing jobs can be very difficult, more so if relocation is involved. It can cause discomfort and tension within a family unit, especially if your significant other or children are not in full agreement. Leaving friends, a school, or relatives who live nearby can all be very stressful and make adjusting to a new situation all the more challenging. As the old saying goes, “not everything that glitters is gold.” Look into what the community hospital is offering. Find out if the culture is suitable for you. What about the community in which you will be living? Will you be able to advance your career? Reach out to your professional network to gain as much information as you can about any situation you’re considering. If your contacts don’t have the information you seek, they may know someone who does. 4. Find a career search firm that specializes in health care. Making a successful physician career change to a community hospital can feel like looking for a needle in a haystack. If you are feeling overwhelmed, a recruiting firm can help you find the placement that’s right for you. It’s what they do. Once you’ve found a desirable opportunity, let them see who you really are. Trying to be someone else in order to fit in is unsustainable in a small hospital setting and will lead to disappointment all around. Remember, this is about making a physician career change, not changing as a physician. If you are ready to make the switch to a community hospital, take a look at what Elliot Health System has to offer. Ask 15 doctors why they are happy practicing in New Hampshire and you’ll probably get 100 different answers. Yes, there are a lot of reasons doctors in New Hampshire are happier providers. Some have to do with compensation, some with the overall quality of life–all are real for the state’s nearly 4,000 providers. 1. Compensation. According to Medscape, physicians in New Hampshire enjoy high wages. 2. Patients who have insurance. Only 5 percent of the people living in New Hampshire are uninsured, according to the Henry J. Kaiser Family Foundation. 3. Quality of life. The Granite State offers the highest quality of life in the country, according to data compiled by Stay Work Play New Hampshire. 4. Community hospitals. They are large enough to provide interesting cases, small enough to allow you to actually get to know your patients. 5. Income tax. Simply put: there isn’t an income tax in New Hampshire. 6. Manchester! It’s big enough to offer plenty to do and claim the title of New Hampshire’s Business Capital, small enough so that it always feels like home–and only an hour drive from Boston. 7. A commitment to public health. According to Health.com, New Hampshire residents are more active than most other people in the country, don’t have a lot of infectious diseases and enjoy a low infant mortality rate. In other words, they are committed to public health. 8. The White Mountains. If you like to hike, ski or take in some of the most beautiful fall foliage in the country, you’re going to love escaping to the White Mountains in the Norther part of the state. 9. Dog sledding. Yes: dog sledding. 10. A community that cares. When you join the ranks of the doctors in New Hampshire, you are joining the ranks of community that truly cares for one another. And you never know who you might be working with to make New Hampshire better for everyone. 11. Public safety. New Hampshire is serious about its public safety. And according to U.S. News & World Report, it’s one of the three safest states in the entire country. 12. Innovation. New Hampshire community hospitals have been recognized among the “most wired” in the country by Hospitals & Health Networks. 13. Farmers markets. They are ubiquitous in New Hampshire, and farmers markets are the place to go for fresh fruits and vegetables, live music and incredibly delicious baked goods. 14. Opportunity. When U.S. News & World Report set out to rank all 50 states, it considered everything from health care to education to crime to opportunity–and New Hampshire topped the list for opportunity (and ranked second overall, by the way). If you have a dream, New Hampshire is the place to try to make it come true. 15. Quality health care. And speaking of U.S. News & World Report … the online publication also recognized New Hampshire for delivering high-quality health care (number four out of 50). You can be part of that greatness. Yes, there are a lot of reasons doctors in New Hampshire are happier–from the compensation to the quality of life to quality of the fresh fruits and vegetables you’ll find at the farmers markets. If you are looking for a career change, why not work where you are sure to be happy? Why not take your talents to New Hampshire? There are few careers more respected and fulfilling than one in the medical field. Whether you are a family doctor, a specialist, a physician’s assistant, a nurse practitioner or any of the wide variety of other jobs available in health care, you possess a skill set that is sought after by many. But how do you identify the medical facilities, organizations or practices that you want to work for or that may be searching for you? What should you know if you are currently engaged in a provider job search? The first issue to be addressed is why you are conducting this provider job search. Are you currently unemployed or underemployed? Are you unhappy in your current position or simply testing the waters for the purposes of comparing wage and benefits for your next performance evaluation discussion about a wage increase? Perhaps you’re interested in advancement and find that your present employment situation prevents you from doing so. Your answer to the above has the potential to impact your job search in several ways, not the least of which is how open you can be about that search. The less you want your current employer to know you are seeking a change, the more discretion you will need to exercise. Unfortunate as it may be, you should think carefully before you share your plans with any of your coworkers. The less others know, the less chance of someone accidentally publicizing your decision before you are ready to announce it yourself. 1. Review and revise your CV. As the saying goes, you do not get a second chance to make a first impression. Because your CV serves as that first impression during your provider job search, you must be absolutely certain that it is up-to-date, well-formatted and 100% error free. Have it reviewed by a medical professional you trust, preferably one involved in hiring. 2. Confirm your references and their contact information. Ensure that those who have previously agreed to vouch you will continue to do so and that they are where you think they are. A resume with outdated references will be seen as a sign of a lazy or disorganized mind. Even if you hate the thought of networking, connecting with those in your contacts list is essential. People in an individual’s personal and professional circles can become the source of leads, referrals and other information relevant to a provider job search. Once you have identified the direction in which you want to take your search, do some due diligence not only on prospective employers but also on their locale. Check with your network to see if anyone you know knows someone at the prospective employer. Conduct an online search of the employer, its place in the area of specialty, if any, and how it fits into the community in which it is located. As well, find out all you can about the organization’s key personnel including, if at all possible, the person tasked with hiring for the position you are seeking. Don’t put off updating your CV, solidifying your network, or doing whatever other legwork is necessary to carry out an effective provider job search. You won’t know whether what you did is too late until it is. Are you ready to apply for a new provider career? Consider Elliot Health System. New Hampshire is 266 miles from New York City. You can catch a nonstop flight at Chicago’s O’Hare International Airport and arrive in the Granite State just about two hours later. Making it to Manchester, New Hampshire, from the West Coast (or Europe) will takes just about half a day in a jet. But regardless of where your journey begins, one thing is for sure: It’s worth taking a trip to New Hampshire if you’re considering physician relocation. There are a lot of states across the United States that are suffering from physician shortages. So they’re rolling out the red carpet, putting their best feet forward and working hard to recruit doctors. But when it comes to relocating for your medical career, no other area of the country can compete with New Hampshire. Medscape, the venerable online news-gathering organization focused on delivering the most accurate information possible to physicians, publishes an annual list of the best places to practice. Last year, only one Northeastern state made the cut in terms of physician compensation: New Hampshire. Medscape pointed out that the average compensation for doctors in the Granite State was $322,000, second in the entire country (behind North Dakota). New Hampshire also has the second-lowest cost of living, the lowest physician density in New England, no income tax and no sales tax. Add it all up, and physician relocation to New Hampshire makes a lot of sense for your finances. Of course finances are only one factor when it comes to choosing a new place to practice. All the money in the world won’t do you any good if your family isn’t safe, well-educated and comfortable. That’s another reason why New Hampshire is worth the trip. And there’s a good reason to consider their sales pitch: The quality of life in New Hampshire is among the best in the entire country. According to Stay Work Play, the state consistently ranks in the top three when eight different national quality of life rankings are compiled and considered. The criteria include high school graduation rates, family well-being, tax climate, health, livability and per capita income. These are all things that make moving to New Hampshire well worth the trip. New Hampshire’s motto is “live free or die,” and the people who live, work and play in the state take it quite seriously. The state does things a little differently than most others in the country–and that’s a good thing for physicians. There is an innovative spirit that is part of the rich and creative tapestry of a state that touches the sea, stretches to the Canadian border, is full of forests, thriving cities, manufacturing, Fortune 500 companies and some of the most forward-thinking healthcare professionals in the world. The way that New Hampshire embraces innovation is just one of the reasons relocating to New Hampshire makes sense. It’s a place where anything is possible for physicians. It’s a place where hospitals and healthcare systems embrace technology, connect with their communities and receive national recognition for the way they care for patients and do business. Whether you’re in the East, Midwest, West overseas, take the time to take a look at New Hampshire. Ready to apply for a physician career in New Hampshire? 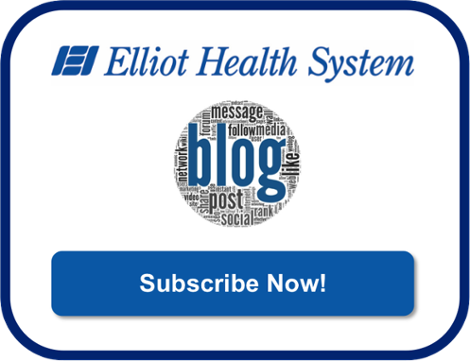 Consider Elliot Health System. These lyrics from the Brownie McIntosh-penned “Oh, New Hampshire (you’re my home)” capture the essence of why living better is easier in the Granite State. While most people know that New Hampshire is home of the first primary of each U.S. presidential election cycle and that its motto is “live free or die.” But, the state truly offers something for everyone–from outdoor enthusiasts to foodies to healthcare professionals. If there is one thing people in New Hampshire value, it’s hard work (and the fruits of their labor). There are only nine states in the country that do not collect income tax–and the Granite State is one of them. It’s also one of five states without a statewide sales tax. When it comes to health care, New Hampshire consistently ranks among the best states in the country. U.S. News & World Report puts the Granite State at number 2. Bankrate puts it at number 4. Each year, Kids Count evaluates how well children live in each of the country’s states based on economic well-being, education, health, and family and community. Each year New Hampshire ranks at or near the top. Yes, New Hampshire is a great place for kids. If you like to hunt, fish, hike, bike, ski or swim, you are sure to find a place to do it in New Hampshire. It’s got mountains, forests, lakes, streams and the ocean all within driving distance. How many other states can make the same claim? New Hampshire is home to both big cities and bucolic little towns. This gives you the opportunity to enjoy the best of both worlds–from world-class entertainment and nightlife to quiet tranquility. If you’re looking for a state where you can feel safe walking down the street or playing with your kids in a park (and who isn’t? ), you’ve found a safe haven in New Hampshire. It consistently ranks among the safest states in America, with low violent and property crime rates and communities of people that truly look out for one another. From sensational spring wildflower blooms to summers that aren’t sweltering to fantastic fall foliage to winters washed in wonderful white snow, New Hampshire delivers four seasons of fun. The weather doesn’t ever seem to get too extreme, and you and your family won’t likely ever experience a hurricane, earthquake or tornado. There is a direct correlation between living better and low costs of living. Manchester, which is New Hampshire’s largest city, is one of the most inexpensive cities in the country in which to live, according to Forbes. If you’re a foodie, you’re going to love the offerings in New Hampshire. With is proximity to the ocean, seafood is plentiful. And if it’s comfort food you seek, you are sure to enjoy the traditional meals of the New England’s Puritan settlers, which include baked beans, baked turkey and apple pie. The state is also home to Black Trumpet, which is regarded as one of the top restaurants in New England. When you add it all up–the economics, adventure, healthcare, safety and more–you have the highest quality of life in the country. One of the best aspects of New Hampshire is the variety of outdoor adventures it provides. Download our free guide to start planning your next weekend excursion. Increasing financial pressures. Patient safety. Government mandates. Personnel shortages. Patient satisfaction. These are the most vexing challenges facing hospitals today, according to the American College of Healthcare Executives. They are challenges that are omnipresent, staring administrators and physicians squarely in the eyes, daring them to find a better way, to innovate. And it’s likely that the road to responding to the challenges will wind its way through America’s community hospitals. While most people associate innovation with large healthcare systems, research universities and med-tech companies, many important advances in hospital care and the business of health care actually stem from work conducted at community hospitals. Here is a look at some of the ways a community hospital can not only keep up with the rapid pace of innovation, but actually be a leader. It’s no secret that the healthcare industry is facing immense financial challenges. The adequacy and timeliness of Medicaid reimbursements, the inability of patients to pay, rising costs associated with staff and operations, and the overuse of emergency department services affects hospitals large and small. And while a community hospital might not have all of the resources of a larger healthcare system, what they do possess is nimbleness. Physicians working in a community hospital typically deal with less bureaucracy, which means they have more license to develop innovative solutions to financial challenges. For example, they can create hybrid models of multiple service lines and programs that meet their patients needs more efficiently and reduce overhead costs. As the Agency for Healthcare Research and Quality (AHRQ) pointed out in its report on patient safety, to err is human–and many chronic patient safety concerns are caused by human error. According to the AHRQ, communication (or a lack thereof) is the root cause of many quality and safety issues in hospitals. This is especially true at large hospitals that deal with large daily censuses. But at a community hospital, where physicians, nurses, nurse practitioners and other staff are more likely to know one another well and work closely together, communication tends to be less of a problem. It may not sound all that earth shattering, but community hospitals are on the forefront of making communication a priority by breaking down silos and putting patient safety first. Of the 100 hospitals in the country to be recognized as the best by Truven Health Analytics in 2016, 60 are community hospitals–and all were recognized for their commitment to building a culture of open communication and prioritizing patient safety. The healthcare industry is in the midst of a staffing crisis–and it’s affecting the large healthcare system and community hospital alike. According to the American Nurses Association, there is a significant shortage of nurses (and it’s not likely to go away any time soon). There’s also a shortage of physicians, according to the Association of American Medical Colleges. Being innovative in recruiting qualified healthcare professionals is nothing new for community hospitals which are often located in smaller communities. These are just some of the benefits healthcare professionals reap from community hospitals. Elliot Health System is proud to be an innovative community hospital. Join us!